Sep 17 What You Can Do On Your Career Break To Stay Current? In the past months I have worked with several intelligent, motivated and engaging women who have all taken a considerable amount of time away from their career to care for a young family. Anyone who is a parent would understand that this time goes very quickly and before you know it the kids are at school and you have been a “stay-at-home-mum” for several years. The same can apply to carers who have been out of the workforce caring for a family member. They are so consumed with the very demanding job at hand that there is no time to even think about what they will do career-wise when their caring role is over. Once these women are ready to return to work, often they can’t contemplate returning in the same capacity, especially if they worked full-time and travelled away from home before having children. With a family to raise and a household to help run, more often these women are hoping to change their job description or even change careers. This can take a considerable amount of time and they need to make emotional and physical space to explore potential options. Even if you don’t expect you will return to the same workplace or in the same capacity, it is important to keep in touch with anyone who could potentially be a great advocate for you in the future. If you have several years out of the workforce, it may well be your relationships that help you get a job and not your resume. LinkedIn will allow you to keep in touch with business contacts but it is also a fabulous tool to help you stay current in regard to what is happening in your industry. You can still read articles, make comments and follow industry news to keep you more up-to-date. Ideally, you want to continue to increase your business connections on LinkedIn even when you are not working. While maintaining relationships may help you get a job after a long absence, you still need the skills to deliver the work required. I recently met with a mum keen to return to work in a marketing capacity. She had been out of work for ten years and hadn’t any experience with social medial or digital marketing. Some industries change quickly and you need to make sure your skills don’t become obsolete whilst raising your family. Think about short courses you can do or even free online courses to keep your skills up-to-date and ensure that you are still marketable when you wish to return to work. 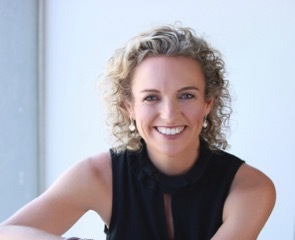 If you feel you need assistance with career coaching, interview coaching, job search coaching or utilising LinkedIn for personal branding and networking, please contact me at leah@relaunchme.com.au or on 0413 558 758 for a 15 minute clarity call, which is a free chat to clarify what you need and to work out if I am the best person to help you. Aug 7 What To Research Before Accepting A Job Offer? Aug 5 How To Stop Procrastinating. Sep 9 Are You Future-Proofing Your Career?